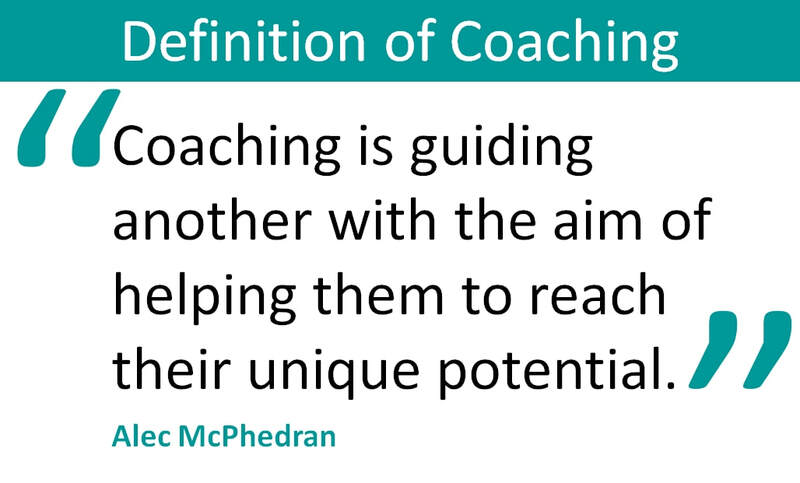 Coaching is facilitating the development of others to help them reach their unique potential. A coach should consider the effective management of the coaching process to reach session goals as effectively and as focused as possible. Alec McPhedran explains the simple to use but highly effective GENIUS coaching framework for creative talent coaching sessions. Great coaching is about working the individual. It’s their imagination and their aspiration. Our job is to help turn these into a reality. Not the coach’s reality. It has to be owned by the coachee. As a coach, your inputs have to be really relevant, valid and appropriate, if and when invited to do so. You, the coach, act as the conductor. The individual has the talent. The coach’s role is to get the best out of the talent. Like most coaches, I have come across a number of really useful coaching models, including the simple but effective GROW model. The common view is that the GROW model derived from Performance Coaching by John Whitmore. GROW is used to structure the coaching session; Goals, Realities, Options and Will, as in “What will you do?” This is pretty good, particularly for offering line managers a coaching tool but for professional coaches it sometimes might need a bit more. Another useful model is CLEAR, developed by Peter Hawkins. CLEAR concentrates on Contracting, Listening, Exploring, Action and Review. Working in the creative industries often has me having to work with additional technique in the coaching session. Creativity, innovation, exciting aspirations and ideas that need turning into a reality. That’s the amazing and exciting challenge in media with creative coaching. For me, a new approach was needed to help inspire and push my clients. ﻿GENIUS coaching developed following a chat with a pretty cynical script-writing friend. She felt coaching had its place but most definitely not in the world of ‘creative people’. Her previous experience of being coached at a leading broadcaster had been helpful but only in career progression and not on her desire to be the best in her field of telling stories. A number of coaches had not been able to really meet her creative aspiration. This made me think about myself, my own ability to go further than I had been before with people and therefore how could I meet her challenge? Yes, we do offer stretching objectives. Yes there are excellent coaches who are very focussed on pushing people but are we held back with the SMART objective format? Are we sometimes held back by our own feelings if moving out of our own comfort level? Her point was do we really push people past the boundaries? Was I really helping by agreeing to clients initial objectives or was I really stretching them, taking them to new and exciting places, sometimes scary, in their ambition? Over the following months I revisited my sessions, the processes I was using and depending on subjects, the results we were getting. Goals were being achieved but I was wondering could it have been wider, more challenging – truly daring to be different. The GENIUS model of coaching evolved after testing it out on some knowing victims with mixed success. I was particularly influenced by Jenny Rogers, author of Coaching Skills, a handbook. Jenny mixes coaching fantastically well with Neuro Linguistic Programming. Thinking of end goals, care with language and energy to achieve things. People who were really up for a new adventure opened their mind to great new ideas, concepts and opportunities that truly seemed off the wall. With others, it made them feel uncomfortable and my learning was that you had to work with the aspiration and the reality of their ambition in their style. Again, not my ambition or my preferred coaching or creative thinking techniques. Eventually the GENIUS model came out, probably the result of a fire, aim ready strategy. It’s now one of my favourite models, particularly when working with exciting creative talent. GENIUS coaching is simple. GENIUS is a guide to running a coaching session. 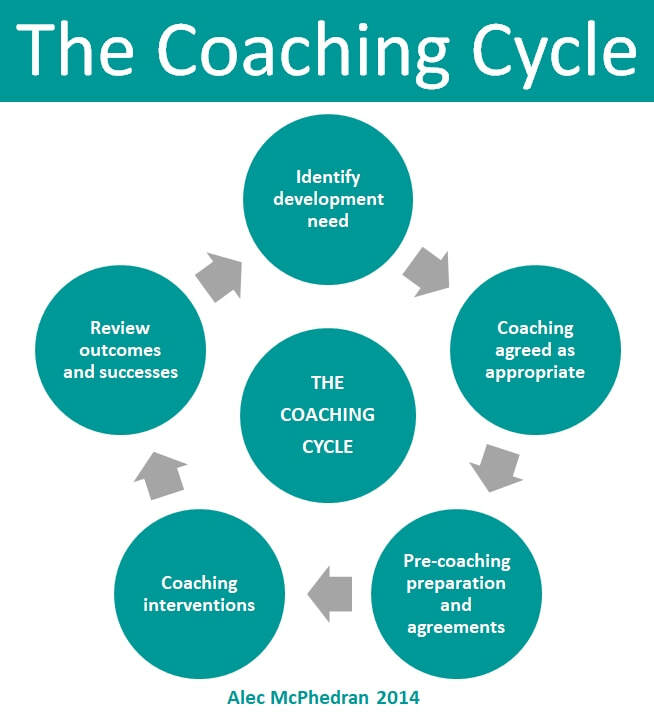 It’s yet another useful model for coaches for their toolkit. It does draw its inspiration from the likes of GROW, OSKAR and other useful coaching models. Simple is good but the skills is in doing simple well. The first step of GENIUS is to set the GOALS, a rather obvious starting point. We know the goal, purpose or aim is critical for a number of reasons but primarily it provides us with the reminder of what it is we are working on, what needs to be achieved. It makes sure all future conversation is relevant to achieving the goal. With GENIUS coaching, there are three types of goals to set. The Aspirational Goal of the overall coaching programme or contract. What will we have really achieved at the end of the coaching programme? This should be highly ambitious, breaking into new territory for the coachee and aspirational. Session Goals. That is, what do we need to achieve by the end of each coaching session that directly supports the aspirational goal? At the end, we review what we set out to work on. The third set of goals are the Action Goals. As a result of the coaching session, what does the coachee need to do by the time we next meet to achieve the aspirational goal? By using this three step approach to goal setting, it provides the coachee with consistency and focus for making things happen and with a clear understanding of why they need to do things. The key skill for the coach is managing and setting the aspirational goal. Once the aspirational goal and the session goal (or goals) has been set, the next part of GENIUS coaching is to look at the ENERGY of the coachee. They may want to achieve something that is far reaching for them but do they really have the energy? The desire to achieve and the energy to do something can sometimes be poles apart. Get the client to rate their energy levels to make this work, perhaps by giving a score out of 10. Without the genuine energy to achieve the goal, is the goal the right one in the first place? Another useful tool to use here, again thanks to Jenny Rogers, is to ask how motivated they are about achieving the goals. A rating of 1 to 10 equally helps give some indication of possible investigation. Once goals have been established and the energy levels checked to achieve them, you then need to NURTURE the range of opportunities and options. This is very much the Options stage of GROW. This again is where the questioning, listening, summarising and creative thinking skills of the coach come into play. Your ability to brainstorm, encourage creative thinking; thinking of things that are really off the wall, never been done before are absolutely critical. When nurturing ideas, this ideally should be treated in the same way as a pure brainstorming session. Pull out the ideas, don’t critique to early, set the parameters linked to the objectives and work through some of the ideas. This is also a great time to use challenging and creative thinking tools such as de Bono’s Six Thinking Hats (data, emotion, negativity, positiveness, feel good, innovative thinking and process). Once you have looked at each idea, work through and prioritise the key actions that came out of the nurturing process. Priority action one is the way forward. Options two, three and four – potential back up ideas. From the Six Thinking Hats model you will then be able to move into the next stage of GENIUS coaching thanks to the identifying emotions and negatives from the red and black hat discussions. That’s because you need to revisit the agreed priority actions from the nurturing stage and identify the INHIBITORS. That is, what is going to stop the ideas from working? This is really powerful as you seek out the negatives. It’s those negatives that you then address with the client to establish how they will be tackled should they arise. I guess the development of the cunning Plan B scenario. We are great at planning the perfect life with Plan A. Unfortunately life’s not perfect. Therefore it makes sense to anticipate inhibitors. Manage them into positives. It’s worthwhile at this point revisiting your nurtured actions to see if they need revising to reflect the points identified in the inhibitors stage of the session. So, we now know what we want, how much energy the client has to achieve their goal, we’ve generated some great ideas and have identified the potential problems and the likely responses. If all works fantastically well then… UTOPIA; an imagined perfect place or state of things. This is where the coaches Neuro Linguistic Programming knowledge comes more into play. Can you get the individual to visually, auditory and kinaesthetically imagine their Utopia once the goals will be achieved? This is a powerful tool to make the end result of a coaching session feel real. It’s what turns that aspiration into the reality. Visioning, recording or feeling that end goal gives the goal life. It puts Utopia in the mind of the individual. I have even gone so far as to encourage clients to make that picture real – getting or drawing a close or true to life image and then placing it in eye sight at their desk. Weird I know but it definitely works. For the auditory types, a written statement always at hand seems to have the same effect. We’re back to the immense importance of goals. Once they look and feel real, once we are emotionally attached to them, they will become real. Developing, writing down and imagining goals is an essential role of the coach to get the client to understand this. Finally, the coaching session is rounded off by summarising the STEPS to be taken by the coachee. What will they do between now and the next session? These are developed by writing SMART (specific, measurable, realistic, agreed and timed) Action Goals and clarifying the actual steps to take to achieve the Action Goals. I guess in the good old day that was called action planning. So there you have it. Yet another wonderful tool for coaching. 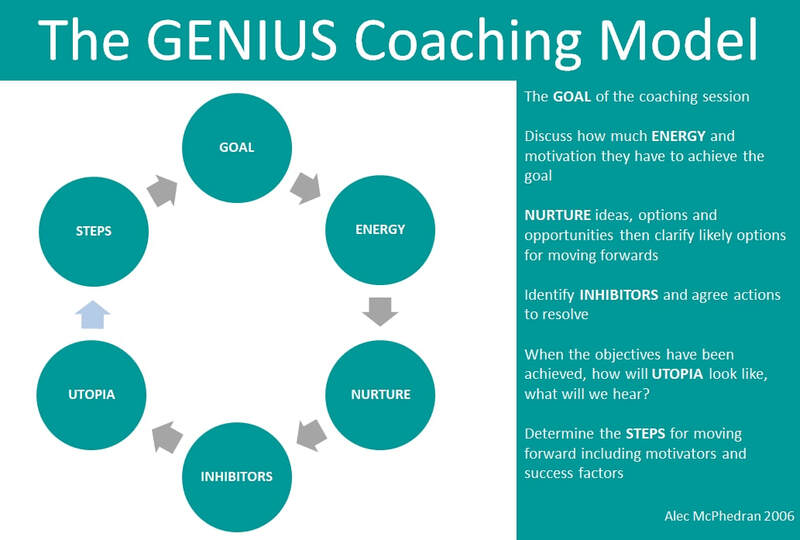 The very simple GENIUS coaching model. It’s about pushing ambition and creativity further for creative people, exploring amazing and varied opportunities and imagining the realities of what success will look, feel or sound like. Obviously I know this model may not be perfect for some, that’s the beauty of the business we’re in. If we were all perfect then we wouldn’t have anybody to coach. 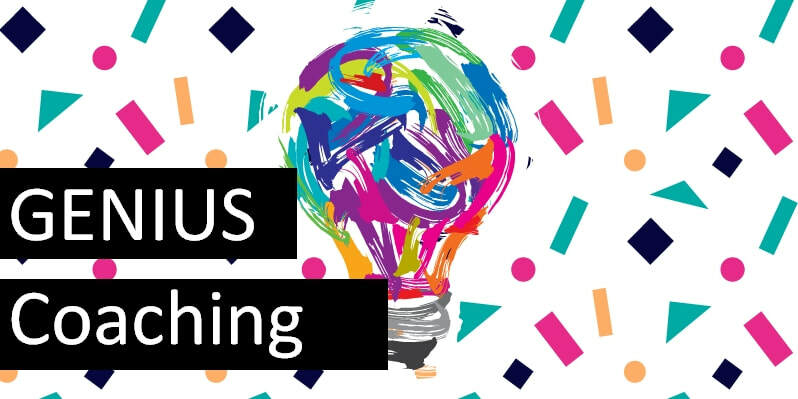 ​GENIUS coaching has been developed by Alec McPhedran Chartered FCIPD, Chartered Mngr, MAC, MCMI as a tool for people who coach; to guide them through an inspirational and wide reaching coaching session for talented creative people. Alec is the managing director of Skills Channel TV, the training company for busy creative people. He specialises in one to one coaching, facilitated learning, media training and team development. For further information, contact 0121 366 87 99 or visit www.skillschannel.tv. Copyright © 2006 - 2018 Alec McPhedran. All rights reserved.